NorPaper - Leading producer of white testliner in France ! 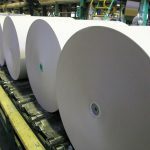 NorPaper, a French leader and independent producer, is one of the main european producers and is specialized in the manufacture of white testliner (a component of carton packaging). On both production plants, one plant in the north of France (Blendecques) and the other one in Nantes, create products out of 100% recycled cellulosic fibres. 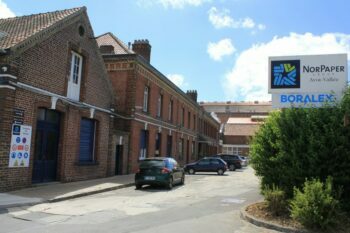 The company was found in 1865 in the middle of an historic region in the north of France, characterized by the paper industry. Over all these years it is the expertise of the workforce which forms the basis of this company. 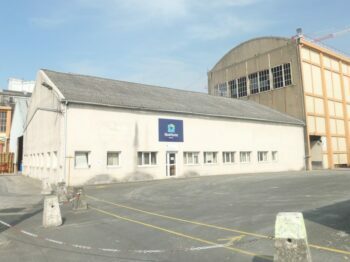 By now the company has 2 production plants: one plant in Blendecques (62) and the second one in Nantes (44). The company is located in the center of Europe and situated close to road networks and ports. 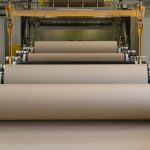 With its favourable geografic location, NorPaper is able to provide and sell its products and services on the frensh and european market as well as oversea. Since July,21st 2018 NorPaper is part of the lebanese industrial group « Gemayel & Chaoui ». The know-how as well as the innovation of our workforce made it possible to create a competitive production process which ensure to fufill the customers’ needs. 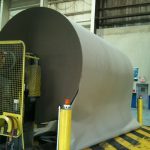 Learn more about our 4 paper machines with a capacity of 240 000 tons (brown and white). 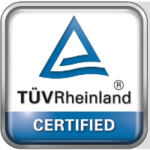 Learn more about our different approaches and actions for the development of quality. Our priority ? To meet the needs of our customers ! The best product of our company with optimal characteristics and whiteness. A good compromise to balance out the economic and technical constraints. This product with a kind of cloudy apprearance is advantageous for originally packaging as well as for intensive handling. 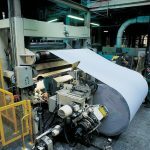 As a cost-effective option NorPaper has developed this special product which solves the difficult equation between whiteness and competitive price. A completly new product in our range. Besides an excellent printing quality this product allows to save up ink and it is prefect for PrePrinting. Best product of the factory with optimum characteristics and whiteness, enhances the more sophisticated prints. A product with a cloudy appearance ideal for a original marketing or for packaging products requiring an intensive handling. Newest product – sublime printing while allowing to save ink. Ideal for preprint prints. The economical and entry-level paper, developed to solve the difficult equation between whiteness and competitive price. Versatile product for standard printing. The right qualitative compromise between the economic and technical constraints of the market. 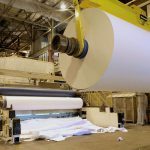 Respecting the environment: NorPaper Avot-Vallée develops and uses environmentally friendly production processes favoring the use of recyclable waste and the reduction of emissions as well as water and energy consumption during production to contribute to the protection of the environment. The “spirit of quality” is a paramount for the company – the workforce is continuously working on the quality improvement of the production processes, working conditions and competences of employees.